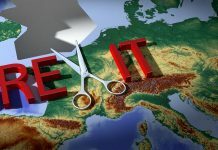 Birmingham/ Swindon, UK – Several UK organisations are warning that progress made on environmental issues would be lost should the UK decide to leave the European union. Among them, the Resource Association believes that EU environmental legislation has been the major contributory factor to the growth and development of the UK recycling industry in the last twenty years and should remain integral to future industry development that both improves the environment and boosts the economy. 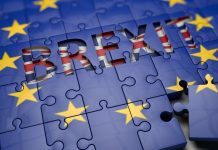 In its January briefing to MPs last week, in which CPI, David Workman, Director General of the Confederation of Paper Industries (CPI), set out the case for the UK remaining within a reformed EU. He stated that the position of the UK’s papermakers, converters and recyclers is in favour of the UK remaining within a reformed EU. The future of UK papermaking relies on continued capital investment, and a strength of the EU for our industry is the ability to trade freely across borders. The BPF’s latest Business Conditions Survey, which was carried out in January and February 2016, asked member companies if they thought the UK should remain a member of the EU or leave. Responding to this before the terms of the EU renegotiation was finalised, 8% of members felt the UK should leave the EU, 62% said that the UK should remain in the EU as currently constituted, 16% reported that they thought the UK should remain a member of the EU but that changes needed to be made and 14% stated they did not know. The Welsh Local Government Association pledged its strong support for the UK to remain a member of the European Union. 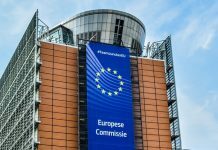 Having made a firm commitment to campaign for continued EU membership for the UK within its recently launched ‘Localism 2016-21’ manifesto, the WLGA believes that EU membership offers clear benefits for Wales in terms of economic well-being, significant inward investment and vitally important cultural links.